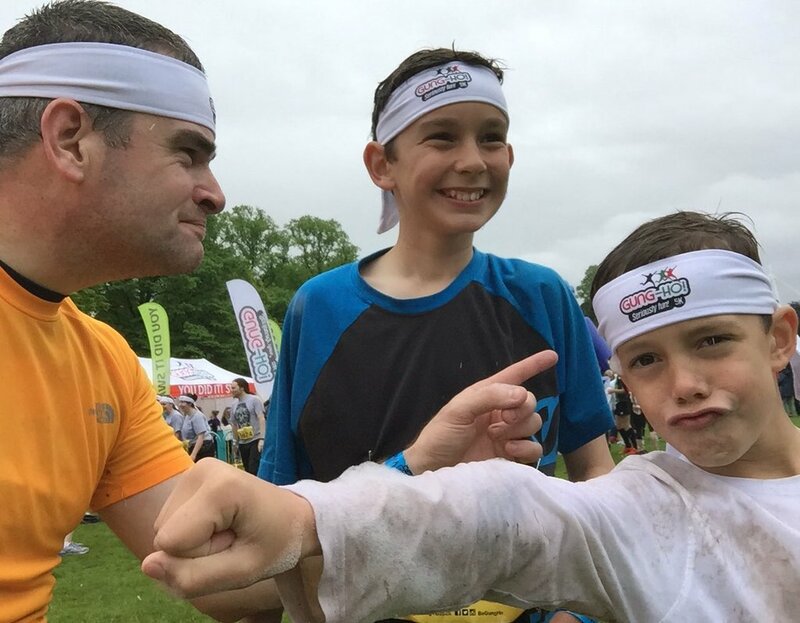 Back on the 21st May Marc Donovan, Chief Pharmacist at Boots, decided to take up the challenge of completing a 5k inflatable obstacle course (yes you read that right) in the Cardiff leg of Gung Ho! Marc has been a pharmacist for almost 20 years, working for both Boots and the NHS as a prescribing advisor. He is a director of PSNC and the CCA and a board member of Community Pharmacy Wales as well as being an independent prescriber, specialising in cardiovascular disease. His 175 Hero pledge is to run 175 miles over the year, and the nifty 5k from Gung Ho brings his total to 150 miles so far. We caught up with Marc to see how Gung Ho went! Congratulations on completing Gung Ho in Cardiff, it looked like an absolute blast. How did you feel when you reached the end of the course? Pretty exhausted, and with aching muscles all over – including my jaw from laughing so much! What time did you complete the course in? Did you have a goal in mind? I have absolutely no idea!! I was distracted by the massive inflatables which I had quite a few extra bounces on, and as I was running with my two boys, we stopped to play human football inside a giant obstacle with a ball bigger than me. I am sure they could have stayed there all day. Would you do it again? Have you got anything else planned? Definitely! Especially for Pharmacist Support. It’s a great event to demonstrate the impact of activity and fun on wellbeing – something the charity is passionate about. You’ve raised a fantastic amount of £240 what would you like to say to everyone who has sponsored you?